First Hack and slash RPG on Android was Dark Avenger from Gamevil. Played it on old ARMv6 devices long ago. now we have got its 3rd Installment Called Dark Avenger 3 but in here its westernfied and it is now called darkness rises. Developed on unity engine this game will purely satisfy your graphical or gameplay hunger. After almost 1 year and 3 months this game is now available in English Language. Amazing hack and slash gameplay combined with console quality graphics will put an end to your search for a EPIC RPG Game. Darkness Rises MOD APK or Dark Avenger 3 MOD APK could be added at later date. There are four classes to choose from. First class is obviously a warrior class. A knight who performs dynamic and dazzling attacks with a longsword. Wields a variety of skills to be a balanced,versatile fighter. you can also preview its gear to know how it would look in full gear sets. Another class is Wizard. A powerful mage who uses an enchanted staff to cast spells,commands the elements,excelling at ranged combat. 3rd class is called berserker A battle crazed berserker who pummels opponents with his axe. Few enemies can stand up to furious assault. and the last class is called Assassin. An agile assassin that wields dual swords with masterful precision. Cuts down enemies with a whirlwind of blows. Darkness Rises is from NEXON Company,who has published so many amazing games like HIT and Dynasty Warriors. Since game is only available in certain region but you can still download it from here and play it worldwide. Its a beautiful game,Even a tutorial is quite amazing and packed with so many cut scenes and teaches you about basic controls of the game. main plus point of its gameplay is having a signature killing moves where you can perform different kill animations by simply tapping on Skull Icon. If you are a Fan of RPG games then you must try Dark Avenger 3 or Darkness Rises once. Its an amazing piece of awesomeness that carries entire game. A full action adventure gameplay followed with a simple story line that involves your character as a main lead.Few noticeable cons are there like grinding for some parts or playing again and again just for getting good gear. 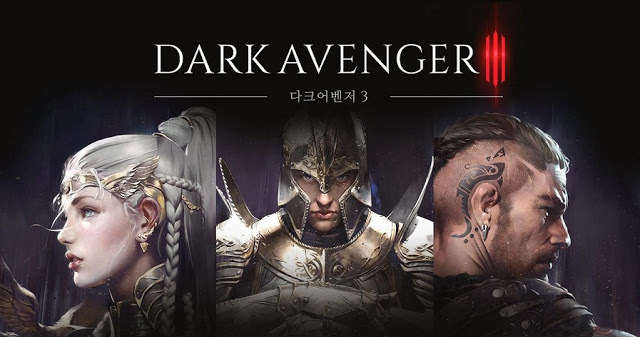 apart from these Darkness Rises APK MOD or Dark Avenger 3 delivers an amazing fun and thrill ride that almost all RPG games could not take you.